Everybody and their dog has read these books(The Hunger Games, Catching Fire with Mocking Jay releasing on Aug 24) and at this point I'm just getting annoyed. I want to read them partly because I hear great things about them and partly because I just want to be educated when all my friends start talking about them! 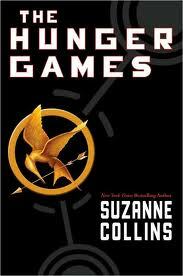 **Update: I have read 'The Hunger Games'(in two days) and have just started Catching Fire. I'm really enjoying them! **Update: Finished Catching Fire in two days as well! Mockingjay, here I come! Spinelli has written many pre-teen and teen books, with a few of them ending up on our 'Indigo Recommends' list, Stargirl included. However, I only picked up one of his books when a teen in our youth group starting raving them. This one is her favorite and she strongly suggested I read it. **Update: This is definitely one of my favorite books now! A must read! When I see Green's books in the store I always notice that 99% of them have great covers. This one is no exception. But this one has a fun sounding premise as well-Former child prodigy, Colin has dated and been dumped by 19 different girls all named Katherine. Colin and his buddy set off after graduation to figure out why he's had such a rocky history with the ladies. It sounds quirky and fun. 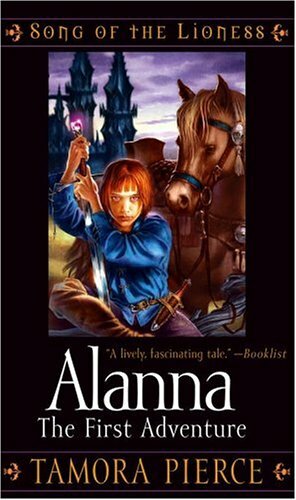 Alanna is a tomboy who dreams of being a knight, and Thom(her twin brother) wishes to become a sorcerer. Unfortunately, Alanna is shortly to be dispatched by her father to a temple in the City of the Gods, to learn to become a young lady- whilst Thom is similarly destined for the royal palace, where he will train as a knight; his worst nightmare. To avoid their respective fates, Alanna and Thom hatch a plan; Alanna will disguise herself as a boy, call herself Alan, and take Thom's place as a knight. Thom will go to the City of the Gods, where he will hopefully be able to train as a sorcerer. 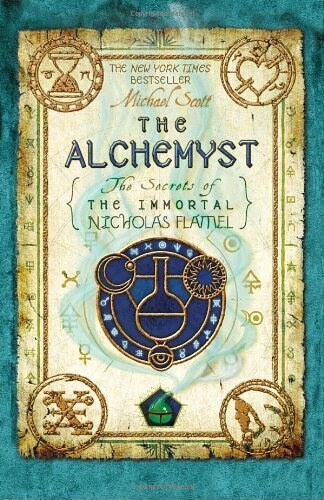 This is the first of four books put out by author Michael Scott. I'm not going to lie, the authors name is part of the reason I love these books. :) However, I also love the look of them. I don't know much about them but I know they're really popular and they don't have vampires in them. That alone makes me want to check it out. It kind of reminds me of M. Night Shyamalan's 'The Village', which I thoroughly enjoyed. 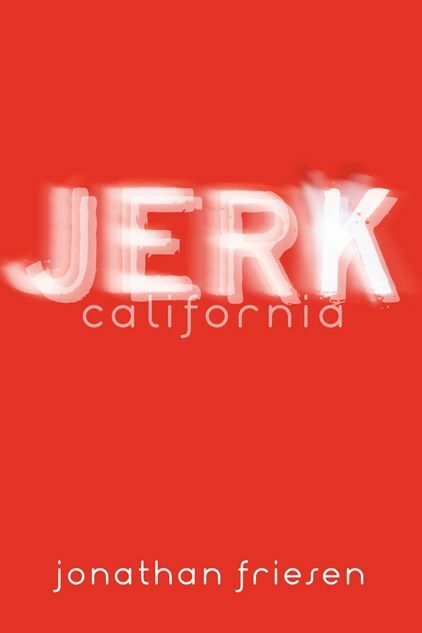 It's the first in a series. 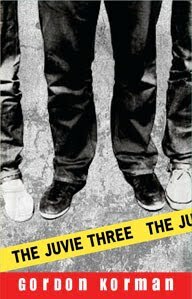 Gecko, Arjay and Terence are all serving time in juvenile detention when Douglas Healy, a former juvie resident himself, comes and gives them a second chance. Healy runs a half way house and when he tries to break up a fight between the boys he's knocked unconscious. Frightened of the consequences, the boys drop him off at the hospital and run. Then Healy wakes up with no memory of the boys or the half way house. Scared they'll be sent back to juvie they plan to carry on as if Healy is still there. But things keep happening that make it more and more difficult. 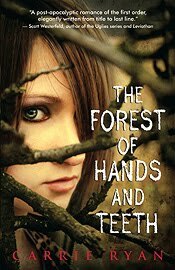 Korman has written many preteen and teen books and this sounds like it would be perfect for a boy(or girl) who has no interest in the variety of vampire/werewolf/undead books the teen section offers. There are a couple books that customers have recommended to me to check out. It happens so rarely that I definitely take note when it does! *This one's about a boy with Turrets. 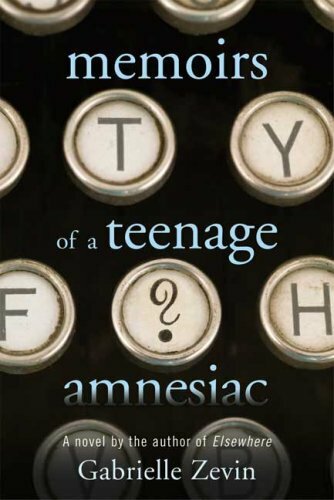 Recommended by a teenage boy that was looking for something else by the same author. Said he LOVED it! High praise from a teen boy. *More than one teenage girl has suggested that I check this one out. It makes me curious. 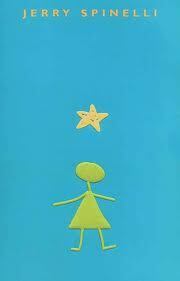 It's about a 16 year old girl who is killed by hit and run driver and wakes up in the afterlife. Hey Jenn! 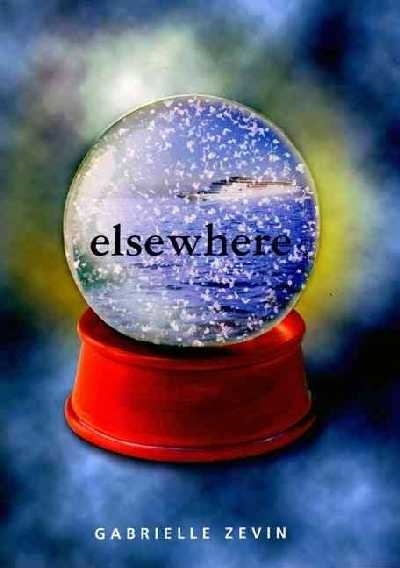 Just wanted you to know that Elsewhere is much better than Memoirs of a Teenage Amnesiac. At least I thought so!